Are you a KW MAPS Coaching Mastery Client? 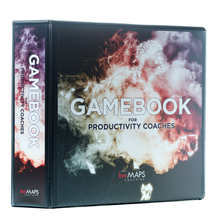 Have you filled your Mastery journal with inspiring notes from your coaching calls? The BOLD Laws printed on 8x6 greeting cards. Comes in a pack of 20 with envelopes. The BOLD Laws come as a high resolution 24"x36" poster and is a great addition to any wall! 100% silicone. Latex-free and child safe. Sold in sets of 3, BOLD monkeys act as a reminder of the BOLD Law: Don't listen to your drunk monkey.